The University of Minnesota has had a breakthrough in treating Hemangiosarcoma! 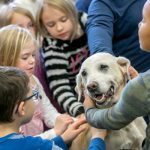 A drug that University of Minnesota created has improved the survival rates of dogs who have Hemangiosarcoma. 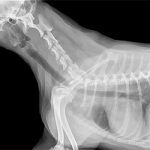 As many of us know, Hemangiosarcoma is one of the meanest cancers out there with a very low survival rate by the time it is found in our dogs. It is so aggressive that the statistics say that only 10% of dogs will survive one year past their diagnosis and less than 50% will survive 4-6 months past diagnosis. This is exciting news indeed! NCCF RESEARCH DOLLARS FUNDED PART OF THIS RESEARCH! Some of our money from your donations have allowed researchers to come together and create a treatment that can extend a dog’s life beyond current expectations giving us hope that our treatment options are getting better and working toward ending cancer as a death sentence. We are still funding this research and we need your donations to keep paying our part. Join us in continuing to FIGHT CANINE CANCER! Your donations are making a difference! Please click image below to keep fighting or go to paypal.me/wearethecure! We need to finish funding our current grants to get more results like these!